When I discovered I was pregnant for the first time I was working full-time as a lawyer and I loved my job. Most of my good friends were childless and, in all honesty, I had no real understanding of what parenthood would bring and how life was about to change. Seven years on and I am now a full-time mum of three and my priorities in life have completely shifted. 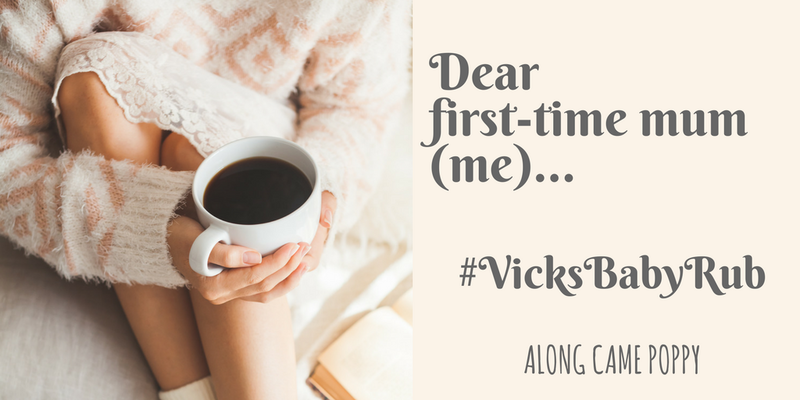 So when BritMums asked parents to take part in the #VicksBabyRub Challenge sponsored by Vicks BabyRub to give advice to their younger first-time-parent self, I thought it would be a great opportunity to reflect upon what I have learned from my own parenting journey so far. Until our beautiful baby girl arrives get up late, go to bed early and take lots of naps in between. Make the most of those first few weeks of your maternity leave by resting. Now really isn't the time to rearrange the Tupperware cupboard, bake multiple cherry cakes or take that last minute trip to IKEA. In 7 years time you won't even remember what you bought from IKEA that day but you can clearly remember having Braxton Hicks contractions in the lighting department, so please just stay at home and relax! You are going to need all your energy for that 30+ hour labour that's about to come followed by a fair few sleepless nights! And remember if at anytime in the first 3 years, you think you are tired, just wait until surprise baby number three arrives as that's when the sleep deprivation truly kicks in! Yes, at first it is incredibly frustrating and painful, it certainly does not come naturally to you and the "battle" leaves you feeling completely disheartened but I promise that nothing beats those nighttime snuggles. So get some more support; learn how to use your pump and shields effectively; invest in Fenugreek and herbal tea early to boost your supply; and keep going because you do make it work second and third time round! If however, things don't go to plan, give yourself credit for trying, you did your absolute best! It may seem like everyone else is making their own organic baby food; successfully limiting screen time; have dealt with potty training by age 2; and have a clean and tidy house but they don't! In the long run none of this will matter so just do what you can, when you can and don't sweat the small stuff! Now this is really important, don't try to be everything to everyone all the time, it is completely impossible! Somethings have to slide so please don't always feel obliged to accept every invitation, learn to be a little selfish and only do the things you really want to do. Also make some time for yourself - run a bath, read a book, drink a hot cup of tea or just go to the loo on your own! Sometimes we all need a break and you deserve one. But still remember to say "Yes"
As soon as our little girl can talk, she will start asking to go places and do things. Of course there will be times you have to say "no" but most often her requests are simple so do try to say "yes". Take her to the park, let her paint, let her dig in the garden and "help" you with the washing. Read that book for the fifteenth time that day and construct block towers and miles of train track all day long. So many people have already told you that she won't stay little for long and it is very true, so enjoy every moment playing together and by the way, you become an excellent track builder! Always do what is right for you and your family. Take those two months extra maternity leave and enjoy them! When you do return to work be more assertive; fight harder for your flexible working request; and never ever feel guilty for making time for your family. Your priorities in life are allowed to shift and in 7 years time you will be a mum of three and that particular job will be a very distant memory! I know I have already mentioned sleep but it is so VERY important and believe me you will try anything and everything to encourage it! Establishing a relaxing bedtime routine has been key but it has taken time so don't rush things, they all do sleep eventually. Incorporating a bath, baby massage and calming bedtime stories have all been essential at various stages. Also a white noise app has literally saved your sanity! This is going to be an incredibly exciting and sometimes slightly terrifying journey. You may not recognise yourself in seven years time but it will all be worth it because in the words of your four year old: "You are an AMAZING mummy!" So always do your best and just keep swimming!! 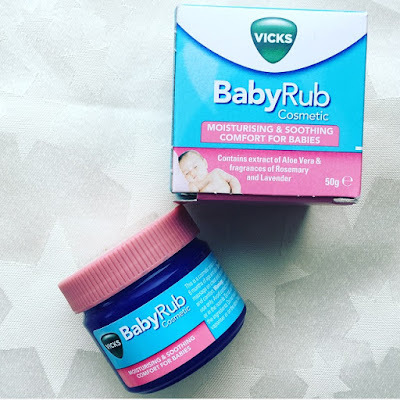 Vicks BabyRub can be used at anytime of the day but we think it would be perfect to incorporate into a relaxing bedtime routine from 6 months old. It can be gently massaged into the chest and stomach areas and helps to moisturise, soothe and help your baby feel relaxed. It includes calming scents of Rosemary, Lavender and Aloe Vera. Please note it is a cosmetic, non-medicated product for babies aged six months and older. *This post is an entry for BritMums #VickBabyRubChallenge sponsored by Vicks BabyRub. Specially designed for babies 6 months and over, Vicks BabyRub is available at Boots, Superdrug, Tesco, Asda, Waitrose and all good pharmacy chains. RRP £3.99. Love this, I wish I'd known half the things I know now! Thanks so much for linking up at #KCACOLS. Hope you come back again next time.